Tom talks about how his earlier game development led to building every 80’s kid’s fantasy. 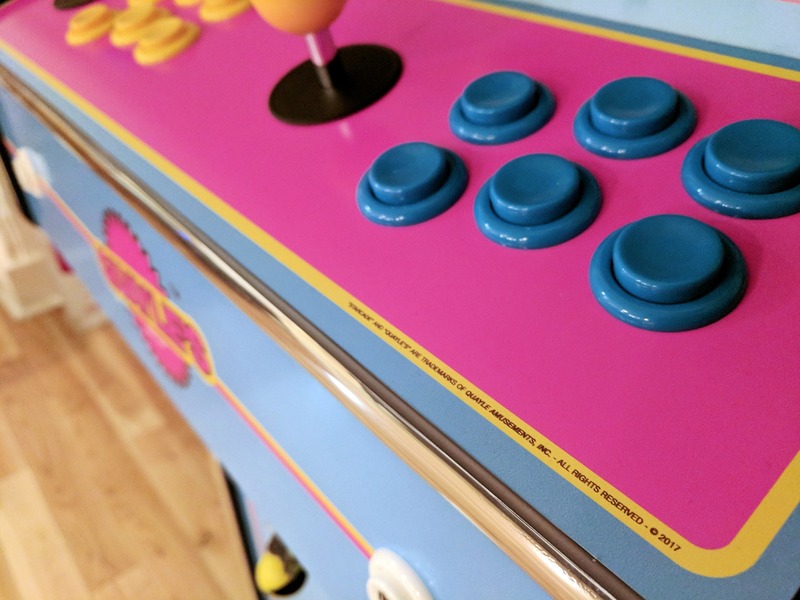 As I mentioned earlier, one of my longest-held passions has been video gaming, and any child born in the 1980s will forever have a special place in their heart for a monolithic 5ft tall chunk of plywood, vinyl and electronics – the arcade game. These machines always represented the peak of gaming possibility for me when I was young – my home machines were great, and let me play over and over as many times as I wanted without feeding 10p pieces into them – but visually and aurally they couldn’t hold a candle to the arcades, combining state-of-the-art hardware with their overwhelming mix of bright screens and marquees and booming music and sound effects. 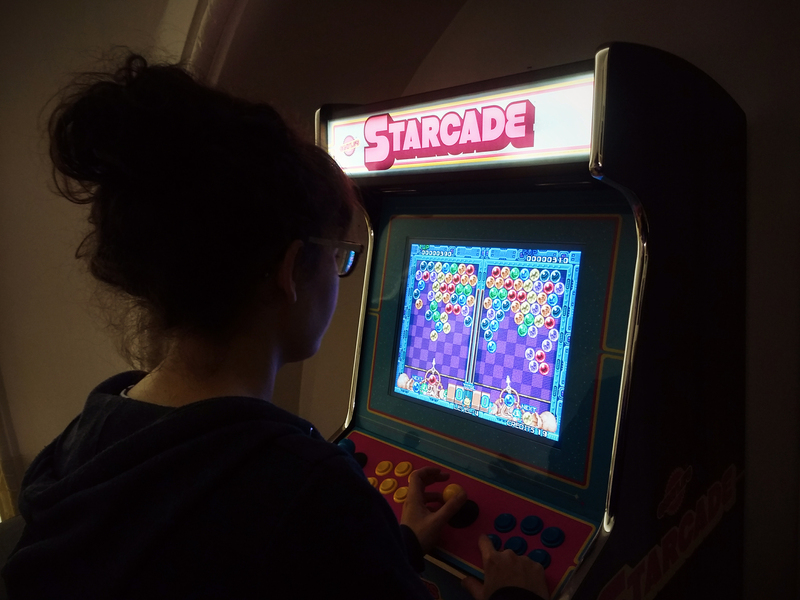 A visit to the local arcade, with scores of machines attract modes all playing at the same time, was something very special indeed. Flash forward a few decades to when I started with Bright Signals in mid 2016. 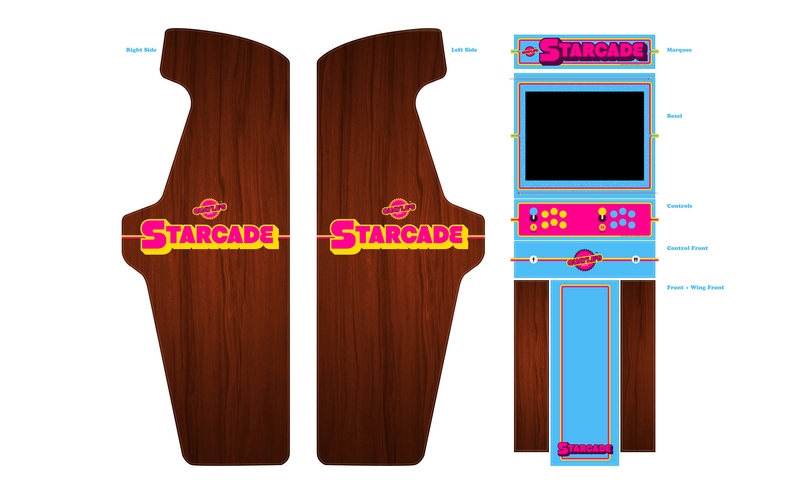 I was aware that a recent project for the company had been the Tennent’s Arcade – a series of Scotland-themed retro-styled games produced for the firm, but the twist being that they were all housed in an actual arcade cabinet, complete with era-appropriate artwork. 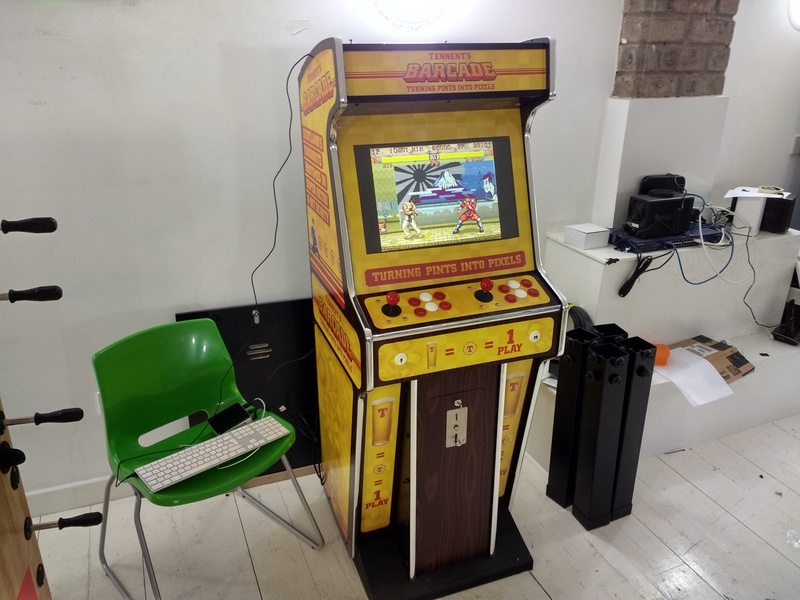 I thought (and think) that project was the bees knees, and after playing around with the prototype machine (which now lives in the Bright Signals office and runs MAME very nicely) it also made me aware that it’s perhaps not as complex as I once thought to build and create your own cabinet. 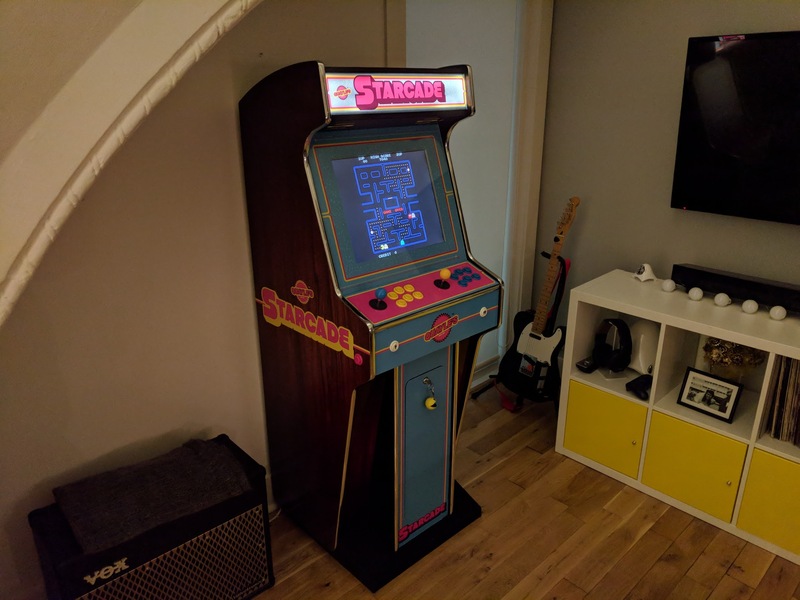 That set me thinking – I’ve started to create some simple retro-style games like the ones I used to enjoy in the arcade, so why not create the full experience and make the cabinet for them to live in? 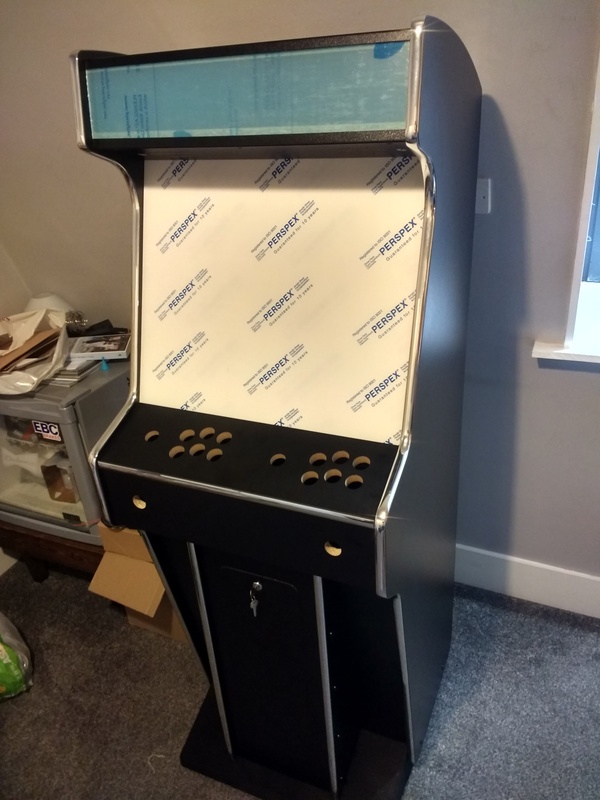 After clearing it with my other half (generally speaking always a good idea if you’re going to be introducing something like an arcade machine to your living room), I was pushing ahead with the project. I spent some time researching the options available to me, from cutting my own wood/mdf sheets to buying a pre-assembled cabinet, and eventually settled on what felt like a sensible halfway house – buying a flat-pack ‘blank cabinet’ from the suppliers that Bright Signals had used for their project – Arcade World UK. I was happy with this option as, to be frank, my woodworking skills leave more than a little to be desired and I’d also had first-hand experience of the quality of the cabinet so felt reassured that I wasn’t going to be getting some home-made monstrosity delivered. 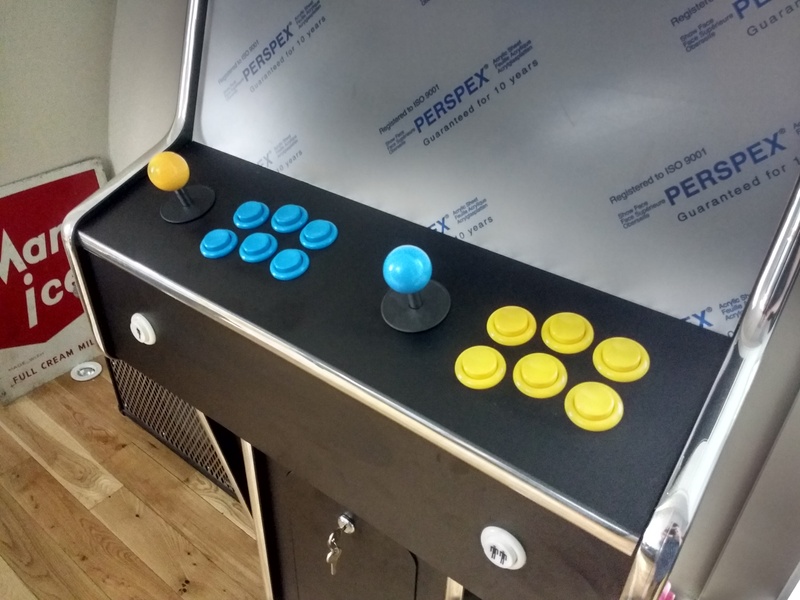 Choosing this option also meant that I was free to source and install my own choice of hardware – the cabinet was literally a shell, with plexiglass for the screen and marquee, so I’d be able to add my own joysticks, buttons, lighting, artwork, display hardware and of course – my own artwork. As you can see, I’ve stuck to a 3-colour scheme heavily inspired by Ms. Pac-Man, while using wood textures to emulate that look so prevalent on a lot of period cabinets, especially cabaret and cocktail models. Once I was happy with the overall look and feel, I split my artwork down into individual panels and started to make the final tweaks to the designs before sending them away to print. You can see that I was keen to put my own stamp on the designs – detail work is really important to me and I wanted this to feel as authentic as possible. Below are highlights from the marquee artwork. I’m lucky enough to have a few contacts in the world of arcade collecting, so I approached my friend Tony (who happens to be the world Missile Command champion no less!) 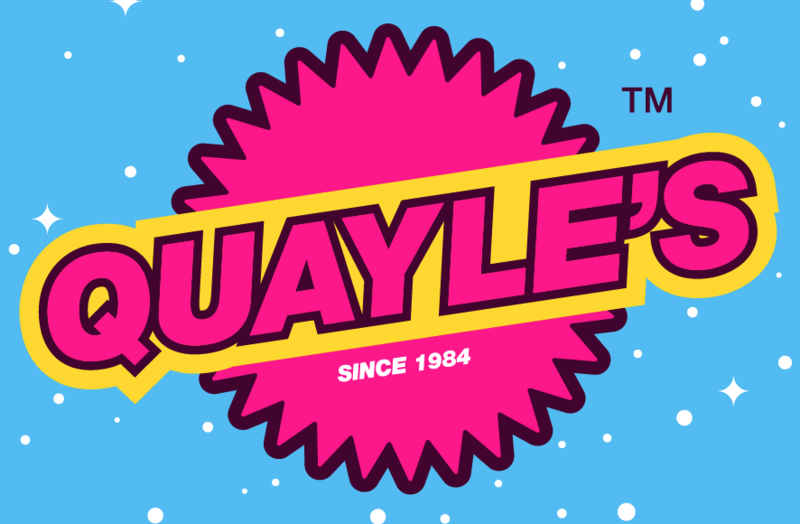 who wholeheartedly recommended a chap named Olly who trades as Arcade Art Shop. Olly specialises in reproduction high-quality artwork for people restoring vintage cabinets, so he’s definitely the man in the know for this kind of printing. After coming back with a very reasonable quote, I sent my order off and received all the vinyl parts a few weeks later, as well as a custom bezel piece and a semi-transparent marquee piece. At the same time as working on the artwork, I was also starting to consider what might go inside the cabinet (fairly important things like running the games, you see), and it became clear very quickly that the sensible option both in terms of price and ease of use was a Raspberry Pi 3. Because I wanted to run my own games on the cabinet, but also run the box inside as a multi-platform retro games emulator, it made sense to have something that could do both simply by switching out the SD card-based operating system (Raspberry Pi doesn’t have any on-board storage or BIOS, it’s all done on the card). Once I’d received my unit, setting it up was super easy, mainly thanks to the large community that’s formed around RetroPie, a pre-configured image specifically for running emulators. I’d also decided that as the vast majority of games I wanted to play were in more or less 4:3 ratio, it made sense to get an older monitor – but still LCD, rather than CRT purely for weight and practicality reasons – I’d need to mount the monitor myself inside the cabinet and this would have been very, very difficult with an enormous CRT unit! One Gumtree search, a short drive and £10 down later, I had my monitor, which looked great and also enabled me to work out the size of aperture I needed in my bezel (the nice bit that surrounds the screen and hides the inside of the cabinet). I used a length of wood and some corner brackets to mount the monitor in place inside the cabinet, which sound simpler than it was! Measure twice and cut once is all I’ll say for this stage of things… As for audio, I happened to have a set of old Logitech PC speakers with a separate subwoofer in the house that I wasn’t using any more, so I was able to gut them and prepare them for fixing into the cabinet very easily, which was handy. With video and audio sorted, I just needed to get some controls sorted out, and again I turned to Arcade World for this. I’d originally planned on buying a pair of Sanwa sticks – generally accepted as the best – but the style I wanted wasn’t available, and so because I’m impatient I went with some generic clone sticks that ended up being perfectly good for my needs, as well as 8 buttons in each colour I wanted (6 gameplay buttons, 1 credit button per player and an exit game button) as well as the obligatory P1 and P2 start buttons for the front of the cabinet. One test fitting later of these and I was happy. My plan was to use spade connectors to hook up all these inputs to a little circuit board that converts them all to a single USB output, and then connect that to the Raspberry Pi. RetroPie then detects the input and you can configure your buttons as you wish, which are then all recognised within the emulators, making it a pretty easy way to use authentic controls. There was some remapping required for specific games (Street Fighter II, for example) but generally speaking it went without a hitch. It doesn’t look pretty but it works! With all the components either in place or tested and ready to go, I was pretty excited when the vinyl artwork arrived. Thankfully my brother-in-law is a vinyl fitter by trade so I roped him in to give me a hand trimming and applying the art to the cabinet, which in the end didn’t take long at all. Once all the artwork was applied, my final touch was to take a strip of LED lights (the kind that come on an adhesive roll) and place them behind the marquee for the backlit look I was after. LEDs were the perfect choice for this thanks to their low cost, long lifespan and almost zero heat output – an important consideration in a confined space. With this, finally the cabinet was complete! After admiring my handywork it was time to hook everything up for the final time – I was a bit nervous to say the least. Thankfully it all went without a hitch, and of course I spent the next few hours playing all my favourites at length. I’m still getting used to having it in the house, and it’s a big talking point for any guests who pop round. Now that the cabinet is completed, my next steps will be to take the games that I’ve already completed (or almost completed) and get them up and running on the Raspberry Pi. I can’t see this being too much hassle, and then once I’ve got that done I’d like to create some kind of frontend where a user can select from the games, and seamlessly exit and enter them without leaving that frontend. Roll on 2019!